Hughes Performance HP7455A - Torque Converter Mounting Bolts 7/16" x 20 x 1.25"
ARP's Torque Converter Bolts provide optimum grip and eliminate the problem of shearing a bolt after the install. 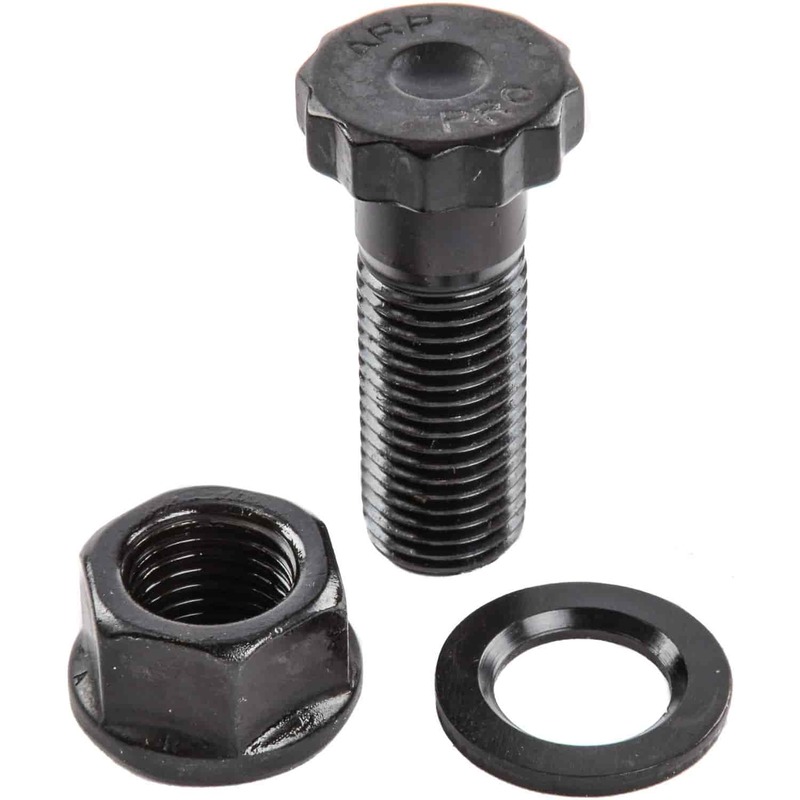 These bolts are super strong, rated 190,000 psi and are designed for each specific application. Included are hardened parallel-ground washers. 230-7303 is rated 5.0 out of 5 by 2. Rated 5 out of 5 by HBR1 from Great quality best I have seen. Bought aftermarket converter with thick flange ARP had what I needed.Outstanding quality product accept no imitations! Rated 5 out of 5 by Andme123 from Good fasteners Installed on car, worked well. Torqued smooth, and look nice.